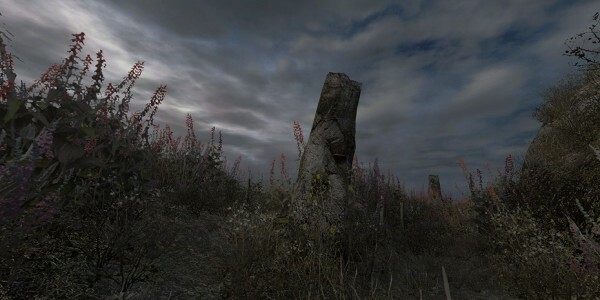 Originally released as a Source engine mod in 2008, Dear Esther is an experimental first-person game in which players traverse an uninhabited island, discovering voiced-over letter fragments along the way. A few years ago, former DICE employee Robert Briscoe decided to remake the game with the support of creator Dan Pinchbeck. 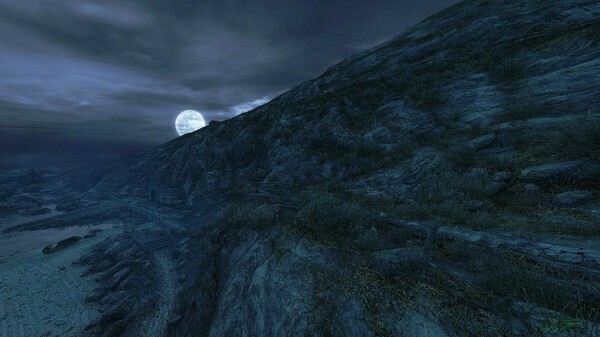 Now Dear Esther is garnering quite a bit of attention, including a nomination for the Seumas McNally Grand Prize at the 2012 Independent Games Festival. With the official Steam release just a week away (February 14), Pinchbeck spoke with GamerNode about the design process, the benefits of remaking Dear Esther, and the state of videogame development. GN: Dear Esther has been described as something that blurs the line between a true video game and an interactive experience. Was there a conscious effort to challenge those pre-conceived classifications, or did that naturally emerge throughout the development process? DP: Not at all. The original mod grew out of a research project that was looking at FPS design, as part of a doctorate I did on FPS games, and I’ve always seen it as belonging to that history, that genre. You often read or hear stuff about story and those core loops of gameplay being antagonistic, and I just don’t buy that – both work to create a larger orchestrated experience, and that’s what really counts – the only question is: “is this experience a good one?” You use whatever you need to create the right mood, emotional state, set of responses in the player, whether that’s tweaking weapon damage or scripting a sequence, or creating a soundtrack or whatever. The best games are those which integrate all of these elements seamlessly. So in Dear Esther, we’re still focused on the same thing, delivering a great experience, but we’re just using a slightly different recipe to do that. We’re using the same techniques and tools, just in a different way. But there was never an agenda about breaking boundaries, or pushing the medium forwards or any of that. I don’t really buy a lot of that talk, and I certainly don’t have a problem with FPS games. What’s great about games at the moment is there’s a massive diversity of things you can experience, more than is often credited, and for me, Dear Esther sits within that. It’s a really interesting case study I guess, for one of the directions you can push gaming into that’s different from the mainstream. But that’s not saying you have to, or even that it’s important to, just that it also seems to work. GN: Much of Dear Esther is focused on mood and atmosphere – do you believe these design elements are used often and effectively enough by game developers? DP: Increasingly. I mean, you can go back twenty years and look at early shooters, and actually a hell of a lot of the power came from that. Even in something as simple as Wolfenstein 3D, that works because there’s an inherent tension, atmosphere in first-person gaming. And System Shock came along and really took that to another level by bolting on a more complex story with decent emotional connections to characters and events- Bungie did it too, with Marathon. So I think we’re standing on the shoulders of giants with Dear Esther. What’s happened recently, is there’s been more and more introductions of periods in many games where the action falls away and you are left in an experience that’s really carried by atmosphere. There are obvious examples, like Metro 2033, where the best bits of the game are all about mood and atmosphere, rather than combat, and I really hope they keep that in Last Light. Or games like Red Dead Redemption or Skyrim, where a load of the power of those games comes from the sense of space and world and place and just… being there. Dear Esther isn’t that different, weirdly. And we’re seeing that more and more, giving the player time and space to think and feel. You don’t have to have constant stimulation – downtime is really important, as it ramps up the sense of engagement with the world. But that’s really nothing new, it’s just starting to get foregrounded now. GN: Did games like Half-Life 2 and BioShock influence Dear Esther’s storytelling? Like those titles, it seems that the narrative is discovered by the player rather than presented to them. DP: Oh, absolutely. I was doing a PhD on the relationship between story and gameplay in FPS games when I wrote Esther, and a lot of that was just playing and analysing and playing and analysing a ton of FPS games, so all of the storytelling in there is a response to that, to thinking about what really worked in the best titles and trying to see where it could be done a little differently. Bioshock and particularly System Shock 2 are brilliant at that idea of disassociating the events in the player’s time with the events in the story’s time, and that’s a hugely powerful storytelling technique for games, as essentially nothing you can do alters what’s already happened. So you get all the power of a pre-defined story with the sense of interaction, of discovery layered over the top. It’s much harder to get things like deep emotional connections, and dramatic arcs when the player is seen to be defining the main plot through their actions – you get snarled up in all the interactive narrative and branching narrative and those kinds of things and it’s really hard to pull off. So in a game like Skyrim, it’s almost impossible to give a sense of drama to the main plot, as you can just disappear off and not engage with it for hours, then return back and you have a character saying “It’s absolutely VITAL that we strike NOW!” and you’re like, yeah, whatever, I’ll come back in 10 hours and 5 levels times and you’ll STILL be saying “we must strike NOW!”. In Bioshock, or hopefully in Esther, even though we can’t control the time of when the player uncovers the next plot point, it’s the fact that it’s happened, that sense of inevitability that gives it a dramatic punch. Which is why it works best with that sense of impending doom. I guess we share impending doom with Bioshock, I can say that without making a direct comparison and worrying about sounding arrogant, right? GN: For a game that revolves around immersion, visuals and audio can be critical factors. With that being the case, do you believe the remake process will improve Dear Esther on more than just superficial levels? DP: Yes, it definitely does. I think often that placing high value on presentation can bootstrap an experience up to more than the sum of it’s parts. It’s like any other game, if you don’t spent time and care of things like physics, even quite small details have small but cumulative effect on the overall experience. I see visuals and audio being the same completely – you think about so many games and how with just a little more care and attention to things like voice-acting, script, music, they could be so much better, and these are comparatively low-cost things to focus on. What I think we’ve achieved with Dear Esther is a deep integration of all of those aspects in a way that is still quite unusual – nothing is superfluous, and everything feeds into everything else. When you combine that with level of detail and quality of production, that takes things to a new level. The mod was very spartan in its environment, and the music, although beautiful, was using samples. So now you have the incredible warmth you only get from real instruments and that adds a lot of subtlety to the emotional flow; and the visuals now create this sense of a real place – that’s so hard to get, even at high fidelity. I think those add up to a very different experience. GN: Would you like to see more creativity and risk-taking across all game development, or do you believe indie games provide a sufficient outlet for the more adventurous ideas? DP: I genuinely think there’s a ton of innovation, diversity, and risk-taking in games across all sectors right now, and the indie scene is just exploding with creativity and risk-taking. There’s been more push here than any other medium in the last few years – compared to games, things like film, literature, theatre, art, music… they are just stagnant. We should celebrate games, we should be shouting from the rooftops about how fast and excitingly the medium is moving right now – but we tend to be very self-critical, which is some ways is a good thing as it keeps things moving. And there’s a process of refinement as well as innovation that’s really, really important. Games like Assassin’s Creed, Uncharted, Skyrim, Alan Wake… these are all milestones in the medium’s development. And then if you look down the IGF finalist list… there’s just fireworks going off everywhere. It’s an amazing time to be a developer, and equally amazing to be a player. My first experience playing a video game blew me away. The fact that Super Metroid was that game certainly helped. So I like to think Samus put me on the path to video games. Well, I guess my parents buying the SNES had a little something to do with it. Ever since then my passion for video games has grown. When I found that I could put words together into a coherent sentence, videogame journalism was a natural interest. Now I spend a large majority of my time either playing video games or writing about them, and I wouldn’t have it any other way. 4 Comments on "Dear Esther interview with creator Dan Pinchbeck"